The Manager was delighted that he had managed to get Bannockburn to come through to Linlithgow, as it replaced the defunct fixture against Haddington who have withdrawn from the league. This was the first fixture for the Reds’ second string for a number of weeks and many of the normal squad were unavailable for different reasons. Bannockburn arrived with a strong team who were determined to assert their authority on the game. 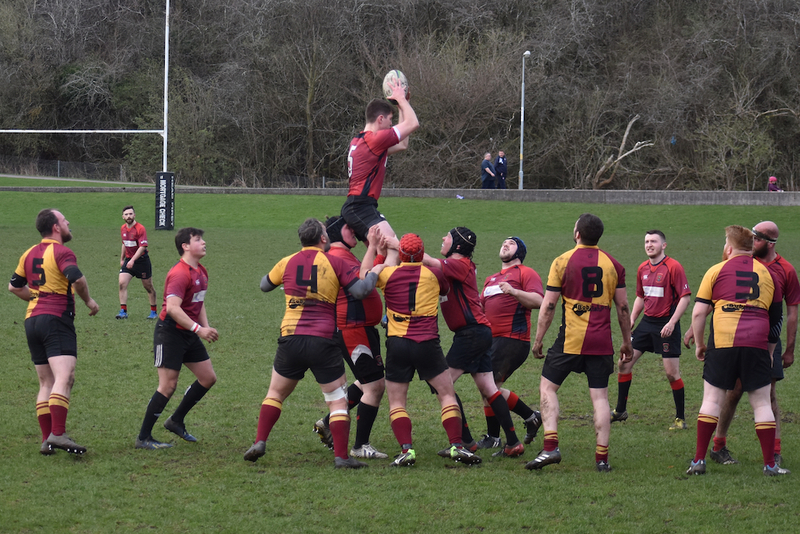 The Reds gained a succession of penalties from Bannockburn’s robust and sometimes illegal tactics. The Reds forwards were struggling to assert their presence on the game but were thankful that the opposition were pinned in their own half by their misdemeanors. Drew Sommerville was dominant at every lineout and won the ball cleanly to give the backs a number of opportunities. From one such move Jeff Martin at stand off side footed the ball nicely between the centres and it was followed up by Stu Young and Mayo Herdman who won the following loose ruck. Robbie Thomson put in a lovely chip kick into the 22 and Murray Smith showing good skill managed to one handedly keep the ball from going to touch and sped down the line to avoid the last despairing tackler to score in the corner. Conversion missed 5-0 to the Reds. 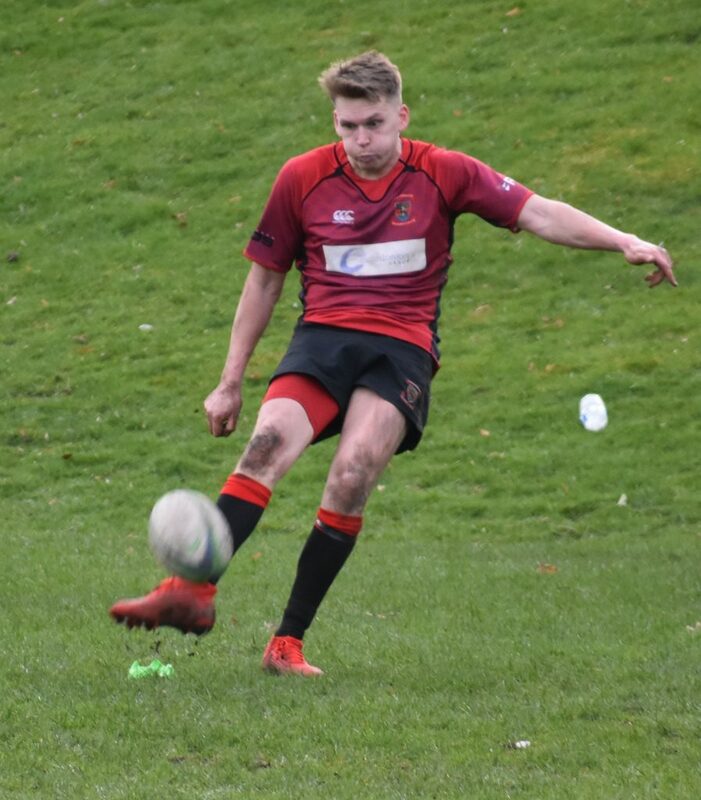 Bannockburn were stung into action and were awarded a penalty and scored a try shortly after to leave the score at half time 10-5 to Bannockburn. The Manager and Gus the Captain agreed that we were playing the rugby but had not had the breaks, if we stuck to our task we would win. The Chess Master, Stu Gordon came off and Matty Sommeville went on in the front row. Guy Sutherland went on on the wing for Andrew Blyth and Stuart Somervail went on at full back. The second half started strongly for the Reds and from a nice penalty into the 22 the ball was won by Drew Sommerville and the ball went across all of the backs for Mayo Herdman to score in the corner. The try was not converted but the scores were even at 10 points each. 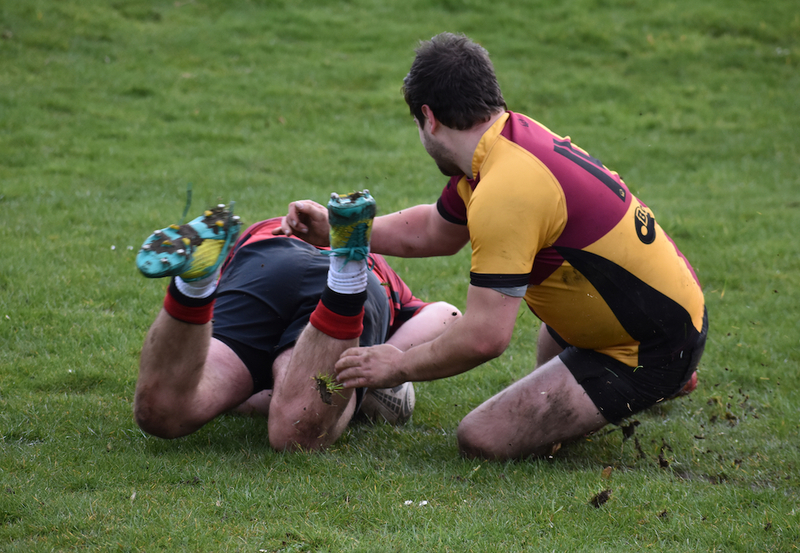 The Bannockburn team continued to infringe and Jeff Martin converted two more penalties however, in the meantime, Bannockburn had scored a second unconverted try. The score was now 16-15 to the Reds and everyone hoped they could hold on for the last 5 minutes but it was not to be. 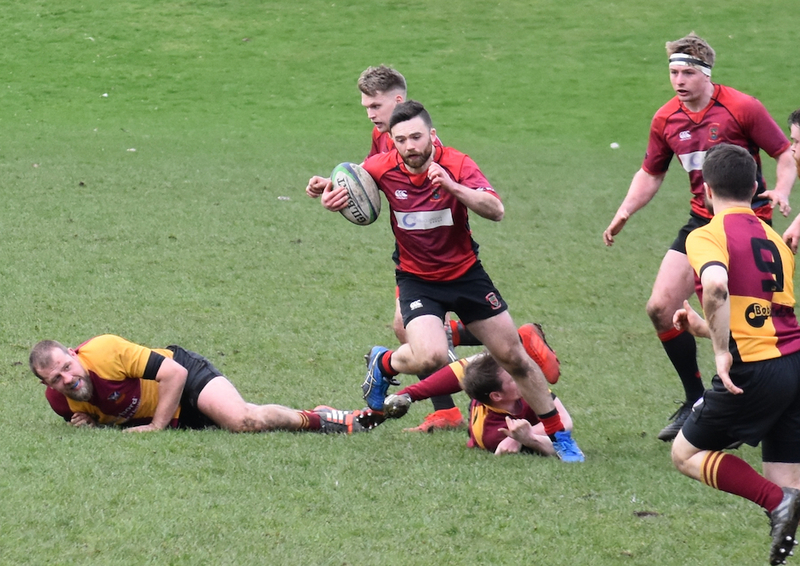 Bannockburn secured another penalty and the kicker slotted it over to give them the final say and the winning score at 18-16 to the visitors. A lesson for the young Reds – the ref sometimes can’t see everything and some things need to be sorted on the field by players. The penalty count against the opposition was well into the two score mark but they won. Afterwards everyone retired to the bar for some food and beers having had a game of rugby. Thanks to Bannockburn and Martin Kenny for sending the team across and we can maybe get another “friendly” next season.